Peter Pan and his ragtag bunch of lost boys from Neverland are the quintessential kids that never grew up. 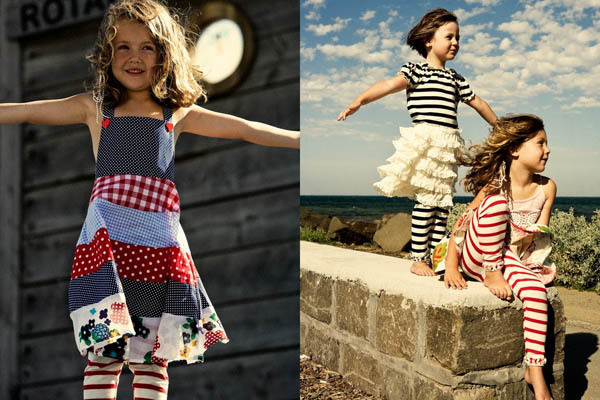 After seeing the Peter Pan-inspired collection from designer kids’ label Heavenly Creatures for this coming spring and summer, I’m wishing I could join them! But since my own childhood is well and truly over, I’m just going to have to live vicariously through my kids. Thank goodness then that I’ve got three of them because I love everything about designers’ Heidi Weber and Kelly Duckworth’s new range – from the sassy pirate stripe peasant tops for girls and pirate grandpa tees for boys to the little retro shirred numbers with their dots, spots and florals. Oh, and everything else in between. Heidi and Kelly incorporate vintage fabrics in each season’s collection and I’m guessing they appear this time round in the rather stunning Kelly bib front dress (below left) – a fantastical mish-mash of ginghams, spots, florals and checks that come together in the most delightful way to make a frock that I’m confidentially predicting will be the sundress of the season. Then there’s the Tinker cream ruffle skirt (above right). Heavenly Creatures have a well-deserved reputation for creating a completely divine girly-girl tutu skirt each season and this one is a knock-out. I can’t wait to add it to my daughter’s spring wardrobe. The Wendy smock dress, in pale pink with ruffles (above right) or lavender with ric rac trim, is prettiness personified amongst all those other bright colours and bold stripes. Mr and Mrs Darling would certainly approve! 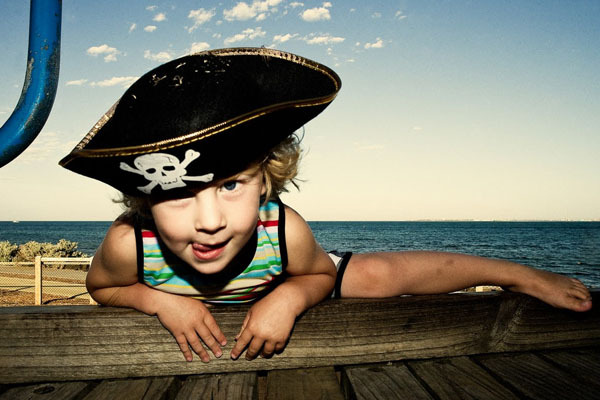 I’m glad to reveal the label’s signature grandpa tees for boys are also back in a new pirate-like reincarnation, along with their delightful ruffle-hemmed leggings for girls. 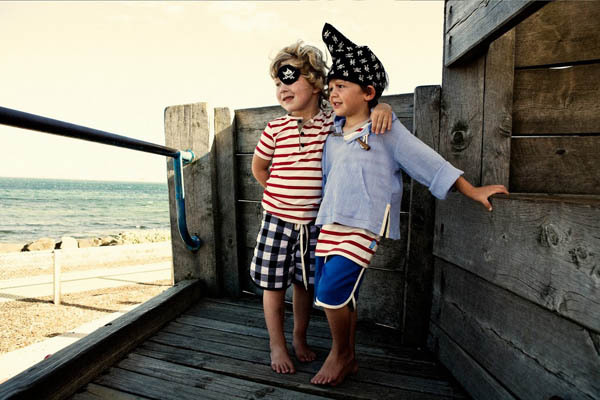 Stripe tank tops, checked and plain shorts and a sublime hooded shirt complete the picture for boys, along with a delectable octopus-print raglan tee with three-quarter length sleeves. 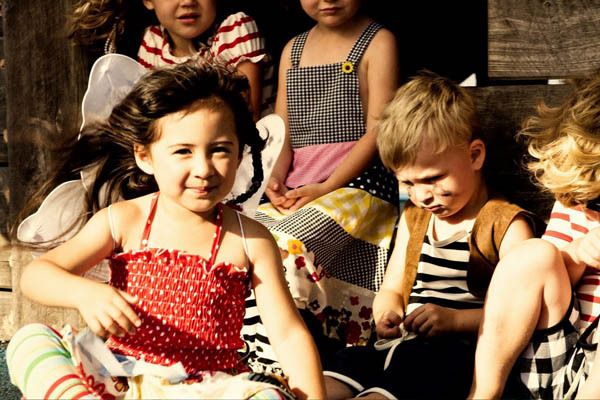 The thing I love most about Heavenly Creatures – apart from the fact that the clothes are made right here in Australia – is that for all the dreaminess of their designs, these are clothes made for play. Pretty, yes. But pretty hard-wearing too. 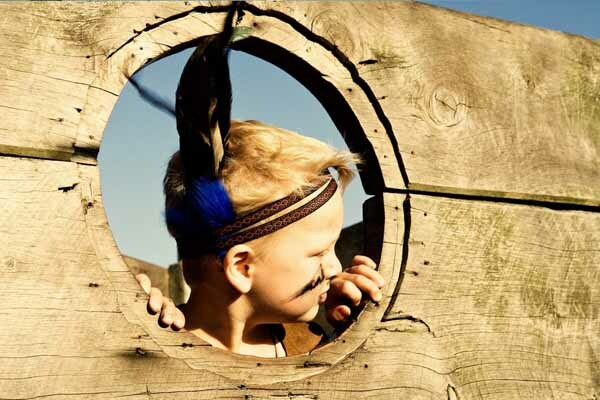 So your little pirates, your fairies and your Indians can run completely amok this summer while maintaining perfect style! 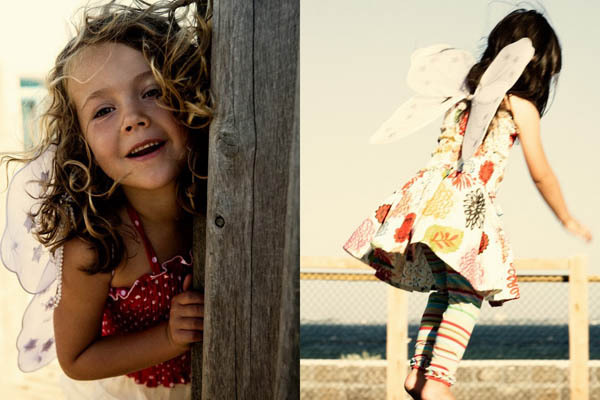 Heavenly Creatures spring/summer 2010 range will be arriving in stores later this month. Check here for a list of stockists and here to see us rave about their previous collections.